The Nikon AF-S 28-300mm f/3.5-5.6G ED VR Lens has a very broad zoom range that is ideally suited for travel photography. The Silent Wave Motor autofocus system provides smooth and quiet AF action, which is particularly helpful when shooting video. It sports Vibration Reduction, which helps to reduce the appearance of camera shake by up to 4 shutter speed stops for better handheld shooting in low-light situations. 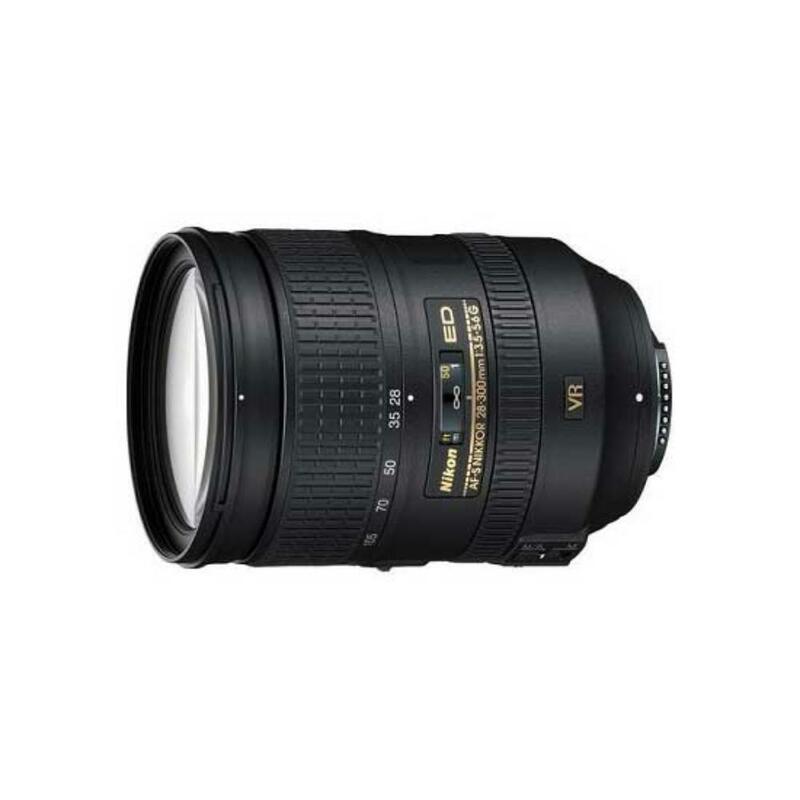 The Nikon AF-S 28-300mm f/3.5-5.6G ED VR Lens can be paired with both full frame sensor cameras, such as the Nikon D810, and with crop frame sensor cameras, such as the Nikon D7200. The focal length equivalent on crop frame sensors is 42-450mm. This lens has a versatile wide/normal to super-telephoto focal range, with a relatively fast maximum aperture on the wider end of the range. It is a great option for vacations, events, wildlife, and everyday shooting.